The tributes are flowing for Jonathan Cantwell, dead at age 36. The two-time Herald Sun Tour stage winner, who also rode the Tour de France in 2012, passed away overnight on Tuesday, prompting a string of tributes from some of the country's top riders including Anna Meares. Jonathan Cantwell celebrates winning stage six of the Herald Sun Tour in 2009. Anna Meares paid tribute to the fellow Queenslander online as news of Cantwell's death emerged. "My heart aches heavy to learn that Jonathan Cantwell has died. Love and thoughts with his family and friends and indeed community." Organisers at the Tour Down Under tweeted: "Our thoughts go out to the family, friends and team mates of Jonathan Cantwell during this difficult time". 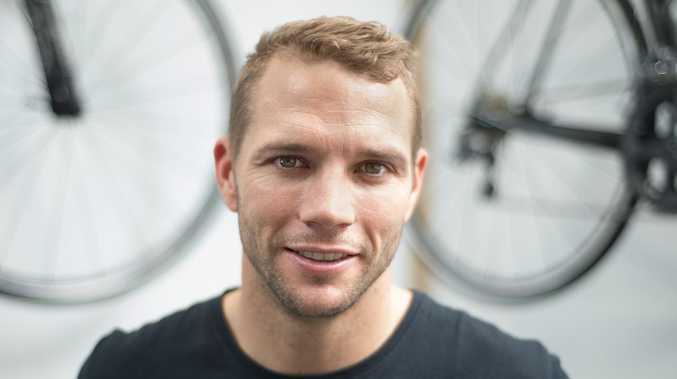 Former Aussie professional turned cycling commentator David McKenzie added: "Jonathan Cantwell you will be missed dearly, you leave us way too young. RIP", while legendary Tour de France commentator Paul Sherwen wrote: "Very sad news from Australia - Jonathan Cantwell RIP - gone too young. Condolences to his family". "Cycling Australia is deeply saddened by the passing of Jonathan Cantwell. We extend our thoughts to his family and friends at this time.